Yes, it’s time for that disgusting annual event known as the Sweetwater Jaycees Rattlesnake Round-up, the largest and most infamous such celebrations of brutal cruelty toward wildlife — or as its proponents call it, a great way to celebrate a lovely spring weekend in Texas. To most people who are non-herpers, it sounds like I’m exaggerating or even making it all up, but to those of us in the reptile community, this is all too real. The annual spring Rattlesnake Roundups are just as horrifying as they sound: Hibernating animals driven from their dens, in some cases being gassed out of their home. The gas poisons the dens, the soil, and the environment. The animals are left in squalid conditions for days, until they are beheaded or skinned alive. The venom milked is not able to be used in any legitimate manner as it milked in unsanitary conditions, so it is just wasted, despite the promise of being used in medical research. There are several of these events each year. The events in Oklahoma are just as brutal, and in Apache and Magnum they give the added benefit of selfies with a live rattlesnake. If that sounds dangerous, don’t worry; it had its mouth completely sewn shut with garbage bag ties after having the fangs ripped out with pliers, so you need not worry about a snake bite while seeking your moment in the Instagram Hall of Fame. Of course, that snake need not worry about drinking during the remainder if its life, either! The solution isn't easy. The Sweetwater event generates over 8 million dollars. For an economically depressed area of Texas, that certainly helps. The second issue is that these animals are rattlesnakes. Rattlesnakes do not get love from animal rights organizations, or most people in general. The hardest part of stopping these events is explaining why it’s important to save rattlesnakes and their deadly venom. But rattlesnakes offer a lot to humanity. They are part of the natural balance of the environment, keeping keep diseases like rabies and Hanta virus. Both viruses are carried by rodents, and well that is their primary diet. In fact, preservation of all venomous animals is integral to human life. Medicines are being developed from venom to treat a variety of ailments such as blood clotting disorders, heart disease, high blood pressure, diabetes, and chronic pain, just to name a few. And as species are wiped out, who knows if the cure for cancer was as well. In the hunt, their size matters. The larger the snake, the better the prize. Rattlesnakes are known for their communal life as well as their parenting skills. Removing the largest leaves a community of animals no longer in balance. It destroys the habitat, and in areas where gas is used, destroys life for more than just the rattlesnakes. The venom milked is trash or sold to random chemical companies. The strict guidelines for actual research or medical applications have been ignore. The snakes, are put through the physical pain and stress of providing venom under extreme conditions. It is torture to this animal who only has a short time to live. It is harder to pinpoint what can be done to stop these events. With the income generated for some of these economically depressed rural areas, it is hard to convince them that educational events will draw as much revenue. One of the former round-ups, hosted in Claxton, GA, is now an educational event with a focus on outdoor life and conservation. Instead of a photo with a snake that had its mouth sewn shut, the snakes are properly shown in tubes. Events like that should be celebrated and visited. Texas also has an educational event, the Texas Rattlesnake Festival. The good news is there are a few groups working to change perceptions. With the reformed round-ups partnering with groups like Lonestar Rattlesnake Trust, The Orianne Society, and local herp societies as well as conservation groups like Eastern Diamondback Conservation Foundation, education is taking the forefront. 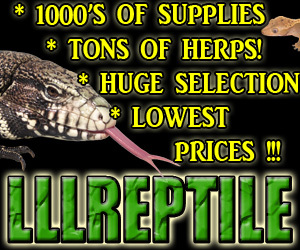 Having been involved with Reptile Fest, an annual event hosted by the Chicago Herpetological Society, for a few decades, I know education done right sells. These groups are making that possible as well. IF you are interested in helping reach out to these groups. All the photos in this article and more can be found here. They are used with permission by Jo-Anne McArthur. Rise Against Rattlesnake Roundups is a group of people who are actively working towards ending Round-ups. Lastly, this is a graphic video of a girl describing sewing a rattlesnakes mouth shut in Oklahoma. Again before you watch it, I wish to warn you it is graphic.